Suyash also wants to know the truth. 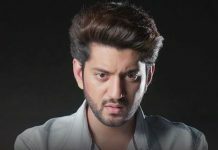 Suyash tells Falguni that he has problem with the DNA test. Suyash says I would never lie to you, I didn’t have any affair with any of my female friends, Shreya is a simple girl, she can’t lie either. Falguni calls the clinical lab expert for the DNA test. The person collects Suyash and Chiku’s hair samples and tells them that he will get the reports the next day. Falguni doesn’t believe Shreya. She thinks she can find the truth by the DNA test. She wants to know the results of the reports. Suyash was sure that Chiku isn’t his daughter, but he gets uncertain when he recalls the freshers party night, he was much drunk and had Shreya with him. He gets doubtful on himself, while Falguni shows her immense belief in him. She tells him that even if he loses belief in himself, she will never lose her belief. Uttara has accepted Falguni and gets on her side. She doesn’t accept Shreya and Chiku. She tells Falguni that she also wants to know the DNA test results soon, she wants the matter to end in their favor.